As it’s the peak of summer holiday season now, our minds easily turn to digging the bike out for an ‘epic road trip’, of just loading up and getting away from the daily grind and putting some miles between home and the bike. You could have spent days, weeks or even months planning for the trip, and whilst you’re 100% ready to go, you have to ask … is the bike? In decades gone-by, even a short run out for the day would have meant checking the bike over thoroughly; setting the ignition, topping up the oil, packing a roll of tools (including tools for setting the ignition again) … it just became part of the adventure. Today’s bikes are different though – with a little regular maintenance, you just pack the bike, thumb the starter and you’re away. Depending on what type of travelling you want to do, you may need a bike specific to your journey – if you’re planning a trip around the world (aka ‘doing a Ewan & Charlie’), you’ll need something that can soak up the occasional bit of off-roading along with being comfortable enough to put in some serious road miles. If it’s just some regular touring, then pretty much any bike will be up for the job, so long as your backside is – smaller bikes tend to be less comfortable, revvy (vibration galore) and can carry less equipment. To some extent, deciding on your riding partners could dictate the trip or the bike – heading off to Germany for a few laps of the Nurburgring and ultra-fast autobahns isn’t so much fun if you’re riding an 883 Sportster and your mates are riding the latest (and fastest) superbikes. 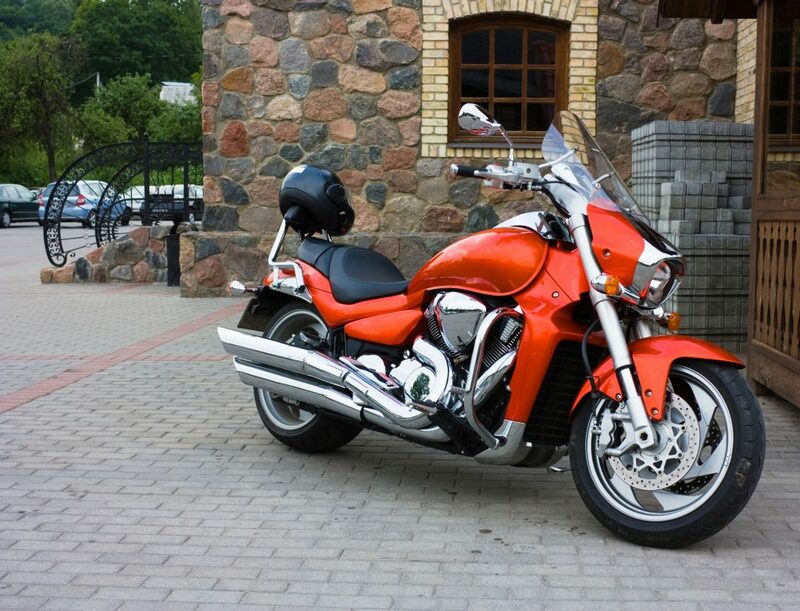 Equally, trying to tame a ‘Busa on a metalled road soon becomes tiresome, to say the very least. Of course, may riders already know their riding buddies, the bikes and what to expect regarding pace, but if you’re a novice rider, you do need to give some thought to it. Most riders tend to keep an eye on their bike as part of the ownership, after all, if you have a mechanical issue due to lack of maintenance at anything above 20 MPH, it’s likely that it will hurt, and at the very least, your pride is going to suffer – no-one likes to drop a bike! Tyres are one of the most important components of a bike – they are all that keeps you in contact with the road, they’re responsible for putting down the power, they need to go round bends when it’s wet … you really should give them some love. If you’re planning on a long range ride, perhaps touring abroad or a high speed run through some European roads, you need to ensure that your tyres are up to the job. Not only does this include regular pressure checks (an over or under inflated can wear quicker and affect the handling dramatically), but visual tyre checks to make sure there’s enough life left – some supersport bikes will go through a tyre in around 2,000 miles when ridden hard, even with the multi-compounds). Unless you’re riding a Harley or something shaft-driven, the drive chain should be regularly oiled and adjusted. Aside from the mechanical issue of it snapping while you’re thousands of miles from home, think about it letting go at speed – at best, it could damage the bike or you, at worst, it will lock the rear-end. Whatever the result, you’ll be in a world of pain. 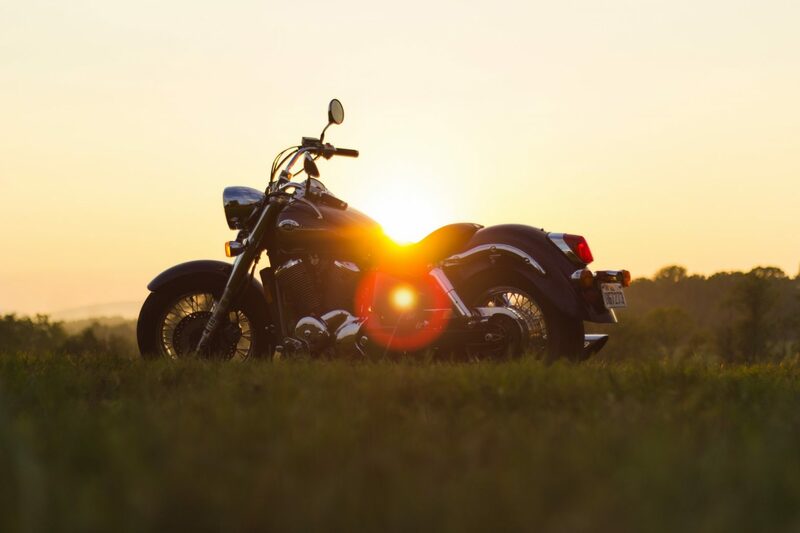 We all know that oil is the life-blood of any engine, and while most of today’s bikes rarely use much of it, you should regularly top it up or do a visual inspection. 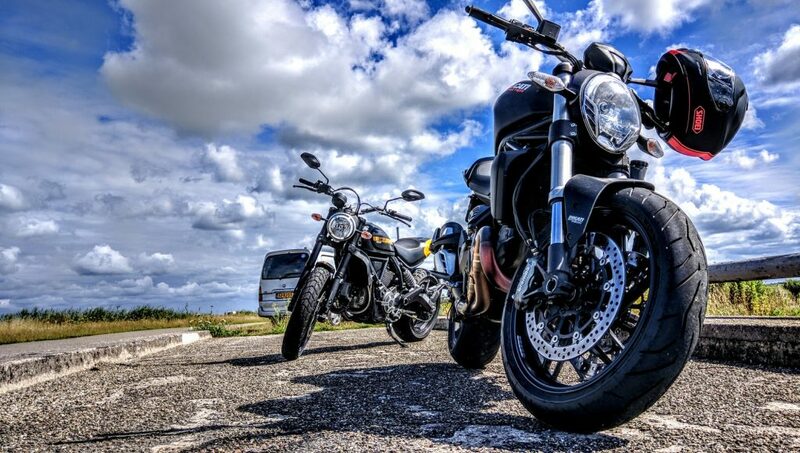 We’d also recommend carrying out an oil & filter change before any big trip – the bike is likely to be working very hard; rider, passenger, luggage and extreme temperatures will all contribute to making life just that bit harder for the engine. It goes without saying that it’s worth carrying a set of bulbs with you, in fact some countries demand that you have a complete spare set while travelling through. As every rider knows, visibility is everything. Riding during the daytime without lights is something that most riders won’t do, but add in lessening light conditions and unfamiliar roads or drivers, and it’s a disaster waiting to happen. Our final piece of advice would be to know where your limits are and stick with them. It’s all too easy getting caught up with a group of riders that are faster than you – don’t be tempted to try and keep up just to prove your ability. Conversely, there maybe one or two riders doing exactly that – trying to prove their ability despite being … inexperienced. If experience has taught us anything, try not to get caught up in their accident.